HomeAll PostsChillerHow An HVAC Chiller Works? 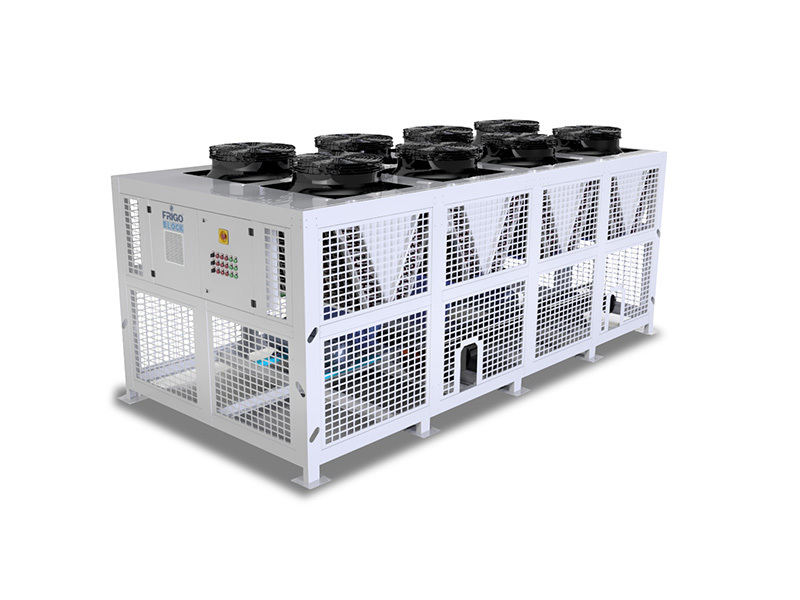 The basic principles of refrigeration is happening in an HVAC chiller,Heating ventilation and air conditioning process is conducted to provide thermal comfort and indoor air quality.Different types of chillers are available in market,among them popular one is a vapour compression chiller. 1.Compressor to Condenser: The compressor sends hot refrigerant gas to the condenser, where the refrigerant heat is transferred to the cold water outside the component. As it cools, the refrigerant turns into a liquid. 2.Condenser to Metering Device: The metering device limits the flow of the liquid refrigerant causing it to drop in pressure which reduces its boiling point. The refrigerant quickly boils into a gas in a process known as adiabatic flash evaporation or auto-refrigeration. 3.Metering Device to Evaporator: As the refrigerant changes state into a gas, the metering device sends it to the evaporator. While vaporizing, the refrigerant absorbs heat from the warm water outside the chiller and cools the surrounding area. 4.Evaporator to Compressor: The warm refrigerant gas is sent from the evaporator to the compressor, where its pressure and temperature are elevated. A hot gas again, the refrigerant travels to the condenser, releasing its heat and beginning the cycle again. HVAC chillers can provide up to 1,000 tons of cooling energy. Industrial chillers are generally installed in a mechanical equipment room, beside an industrial process, or outside the building. Residential HVAC chillers can be installed in a storage tank next to the home. 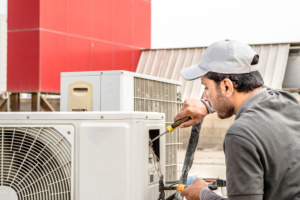 HVAC services in Dubai and Sharjah have specialized teams in HVAC Chiller installation,maintenance and repair.So these are the basic working principle of HVAC chiller ,more than it’s mechanism working efficiency and energy utilization are considered while installing new chillers.